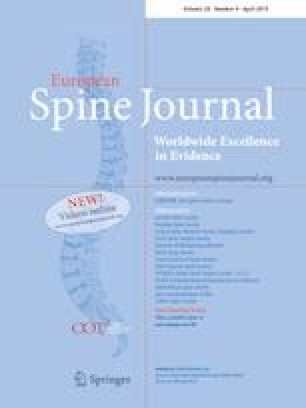 The present study aimed to determine whether obtaining adequate lumbar (LL) or segmental (SL) lordosis during instrumented TLIF for one-level degenerative spondylolisthesis affects midterm clinical outcome. The study was designed as a prospective one, including 57 patients who underwent single-level TLIF surgery for degenerative spondylolisthesis. Patients were analyzed globally with additional subgroup analysis according to pelvic incidence (PI). Radiographic analysis of spinopelvic sagittal parameters was conducted pre- and postoperatively. Clinical examination including ODI score was performed preoperatively, 1 and 5 years postoperatively. Significant improvement in ODI scores at 1 and 5 years postoperatively (p < 0.001) was demonstrated. There was a significant correlation between anterior shift of SVA and failure to improve SL (p = 0.046). Moreover, anterior SVA shift correlated with increased values of ODI score both 1 and 5 years postoperatively. In low-PI group, failure to correct LL correlated with high ODI scores 5 years postoperatively (r = − 0.499, p = 0.005). Failure to correct segmental lordosis during surgery for one-level degenerative spondylolisthesis resulted in anterior displacement of the center of gravity, which in turn correlated with unfavorable clinical outcome 1 and 5 years postoperatively. In patients with low PI, failure to maintain lumbar lordosis correlated with unfavorable clinical outcome 5 years after surgery. The online version of this article ( https://doi.org/10.1007/s00586-019-05890-w) contains supplementary material, which is available to authorized users. All procedures were in accordance with ethical standards of the National ethics committee of Slovenia on human experimentation and with the Helsinki Declaration of 1975, as revised in 2008.